The Gadget Code: Home Gadgets: A Robot that cooks Roti, Rotimatic! Home Gadgets: A Robot that cooks Roti, Rotimatic! Dear Readers, have you ever heard of a Roti? In case you havent, it’s a staple foot special to the asian subcontinent. But to typical Indian woman, it is much more than that. Legend says "If she can cook a perfectly Round Roti, she will be a good Daughter-in-law / Wife". Well Ladies, never fear, Rotimatic is Here! A product of Zimplistic, a Mountain View, California-based company of 20 people, Rotimatic is a Roti Cooking Robot which was developed for over six years. The machine is pretty simple, it has 3 compartments to put Oil, Flour and water. All these ingredients are then mixed in the right amount to make a perfect Roti which is neither dry nor too Oily. 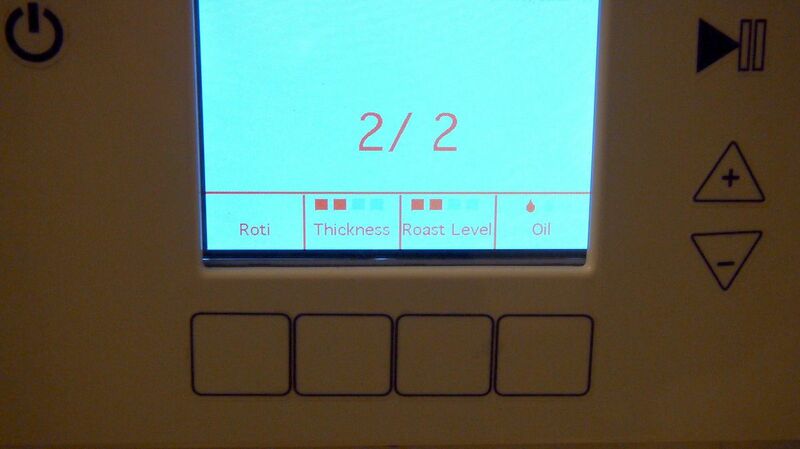 It also has controls for thickness, roast and oil level. Rotimatic makes one Roti at a time, which is kind of a drawback considering atleast 10 to 15 Rotis are eaten in a single meal. The other real turn off is the price.It will cost you $600. That costs a whopping Rupees 60,000, way too expensive for a commoner in Indian Subcontinent. Rotimatic is awaiting U.S. certification and is in its manufacturing stage. The Robot will hit the markets in 2015.